We finally got info about Johnfish Sparkle’s Mini Tour in Germany! This time by the great Metal Express Radio! They have got the Blues. They have got the Rock. Most of all, They have got the right sound of diverse ’70s-oriented Hard Rock music. The Italian trio Johnfish Sparkle has been running around all hazy and obscure since 2008. Flow, their second vintage-like release, is another fine addition to the ongoing flow of ’70s Rock music that will never seem to end. 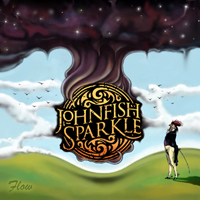 Johnfish Sparkle is no copycat, but their direction is utterly close to the British giants Led Zeppelin. The vocalist / guitarist might not have the awesome old vocal ranges of Robert Plant, but he sure has great guitar playing techniques that would make for a fine tribute to Jimmy Page. John Paul Jones will also be proud that there is such a great bass player that follows his older musical lines, and the same goes for John Bonham (R.I.P.). The band’s loyalties to vintage Hard Rock were mashed with aspects of that era’s Progressive Rock and Psychedelic Rock. Several moments of the album cause you to undertake a long voyage through a weird kind of spiritual world. Every time a song steps out from its normal orbit, it enters a different drug-induced realm that has its own story to tell. Those frequent moments had Pink Floyd references along with the rocking Blues of Zeppelin … and intriguing results. On the other hand, Flow isn’t a perfectly smooth ride through the ’70s. Part of the reason was the vocal line, which seemed too tired at times and lacked energy … he seemed at times to be the antagonist of the whole Flow story. The likable outcomes of this release were sort of an eye opener. “Spiral Confusion” has that feeling of get high ’til you drop. This is a true Psychedelic experience in almost every section, and the main passage with its percussion use and the wild guitar insured the right impact. The great thing was that even though it had an organized structure, the overall feeling spoke otherwise as it gave the idea that nothing was constant. “Not Alone” has some amazing riffs and a good solo moment. Its opening was plainly a classic overture. The song, on its whole, is pretty much simple with several obscure additions. It is a worthy track that sums up the greatness of ’70s Hard Rock with finesse. “Crazy Lady”, such a ’70s name for a song, is one of the coolest Blues-meets-Rock marriages heard in a while. Here the vocals sound a bit livelier and even slightly crude. While the guitar was privileged with tons of attention, this track emphasizes the bass rhythms, while the guitar flamed with its crazy licks. This is an awesome track with an astounding vibe. Flow offers tribute to Led Zeppelin, yet the album always showcases the additional realities this band lives in. It came out a nice release and it is recommended, even it has a few bumps along the way. Link to JFS’ “Flow” is found here. Above all else, this extensive double live album, is a resume of Siena Root’s early years. This album features all the elements of the band, from their debut up to recent days. They have managed to pour the bands dynamic energy from the stage right into this box of 91 minutes root rock. You will for sure find the good old heavy riffs, side by side with psychedelic vibes and groovy jams. But there is more, much more to experience in this magnificent album. There are no less than 9 guest artists featured, with a range from classical violin by Martin Stensson from Swedish radio symphonic orchestra, to legendary blues guitarist Maxi Dread. You will also find a lot of Siena Root family from the past such as Tängman and vocalists Oskar and Sanya performing songs on a new level. On top of it all you get previously unreleased material and 2 rare acoustic tracks that reveal a new side of the band. Root Jam is the album that covers the whole colorful spectra of Siena Root, and it’s all straight from the stage. No overdubs or studio takes what so ever. If you are into tunes from late 60s, early 70s, you should get your hands on this album. The album will also be released on LP by Headspin Records. Siena Root will perform at Nachtleben, Frankfurt tonight at 21.00 !! listen to “The Rat” from their latest album! 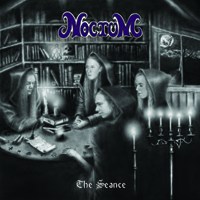 Transubstans reissues Noctum’s “The Seance” ! NOCTUM released their debut album a small DIY US label in 2010. “The seance” and “The fiddler” on 1 release. about witchery, blood and black masses. For friends of WITCHCRAFT, ANGEL WITCH (old), GHOST (swe) and BLACK SABBATH. Est. release in December, 2011 !! Our Italian blues rockers Johnfish Sparkle will travel to Germany for some shows in the middle of December! Until we get the proper tour dates, check out this song from their new album “Flow”. Order your copy of “Flow” at Record Heaven ! Crystal Caravan served on 33 RPM !! Transubtans Records has now released the LP edition of Crystal Caravan’s “Against The Rising Tide” ! CRYSTAL CARAVAN’s energic explosion “Against The Rising Tide” is back, this time served on 33 RPM with a beautiful 5 mm classic gatefold! 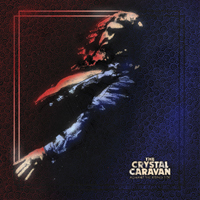 The 2nd album of CRYSTAL CARAVAN brings the North Swedish band into new dimensions. Seeing the band on stage is a truly rememberable experience, and so is it hearing them on in your home speakers. This hybrid of classic hard rock sounds and psychedelic flower power style takes elements from URIAH HEEP, STEPPENWOLF and JEFFERSON AIRPLANE, the band just do it far more intense and will. The big question is; How many of liters of sweat are lying on the stage once they left it?! Listen to the song “Apple Hotel” from the album below ! Order your LP today from Record Heaven !